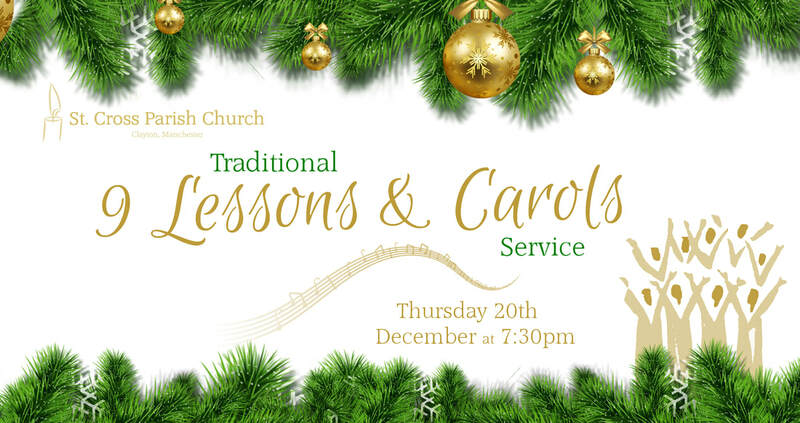 On the evening of Thursday 20th December, at 7:30pm, we will be holding a Traditional Service of 9 Lessons & Carols with music from our Organist and our own Church Choir, the St. Cross Singers!! You will hear the Story of Christmas brought to life through bible readings and traditional carols in the peaceful surroundings of our beautiful church so why not take a break from the hustle and bustle outside and join us for what we are sure will be a wonderful evening of beautiful music followed by Mulled Wine & Mince Pies in the Church Centre- a perfect way to get into the true spirit of Christmas! !